Dog Paws. Leaving an imprint. I love my dog paws, even when she comes running into the house after a rainy day and she leaves a muddy imprint all over the floor. 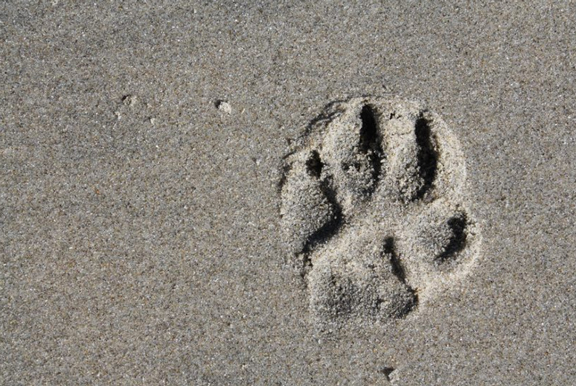 Other times, when we go to the beach, she leaves an imprint on the sand as a proof that we had an awesome day running and chasing pelicans and doves! 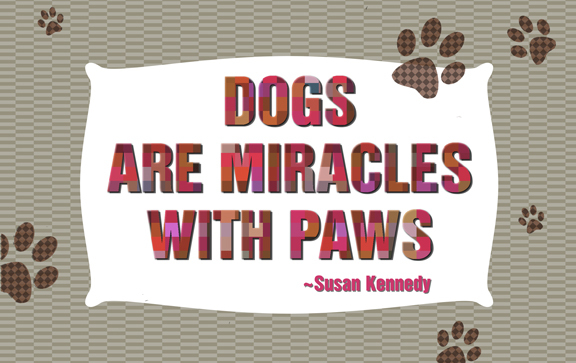 And because I love her paws, I know I need to take care of them. Her paws are a cushion to protect her bones and joints and give insulation when the weather is extreme. To read in more detail the whole list, go to this link. 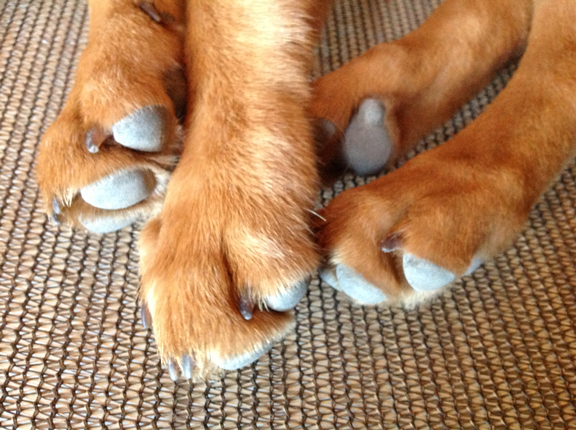 Take care of your dog paws so you can keep running and enjoying outdoor adventures every day! Wednesdays with Winnie: It looks like a summer day! In days like this, when the weather is so hot, Winnie loves a good nap in the shadow with a fan near her body. It seems that the summer is not over! But It is a perfect day for a refreshing bath outside. 1.) Exercise your dog early in the morning or late at night.2.) Use doggie boots.3.) Watch for signs of dehydration. To read more go to this link. But what could be better than a good swim? How do you keep your dog cool in a hot day? Share your tips in the comments section.